There was once a time when the best way to get from New York to Chicago was by water! A variety of boats plied a system of rivers and canals between New York and Buffalo, on the eastern end of Lake Erie. Travelers then boarded Great Lakes sailing ships for the trip to the new frontier town and points west. In 1832, the first steamboat visited Chicago. 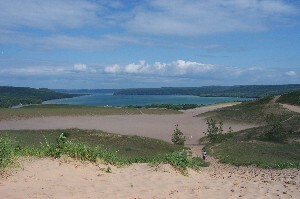 Thus began the Manitou Islands’ human history. Navigating the treacherous Manitou Passage was worth the risk because of the time saved. South Manitou offered a deep and protected natural harbor which provided refuge from sudden storms, and the bountiful supply of wood found on both Islands provided for the voracious appetite of the boilers on early steamships! Settled before the mainland the island became an important stepping stone for settlers and travelers moving up and down the Great Lakes waterway. By the late 19th century both Islands boasted small settlements, including important Life Saving Service & Lighthouse Service installations. 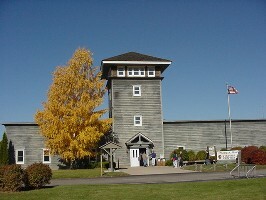 A strain of rye was developed on South Manitou that eventually tripled the nation’s production of this important grain. The title of a 1925 Michigan State College (now MSU) Extension Bulletin which explained how the islands tight knit community and isolation from mainland pollens proved an ideal place for researchers working with island farmers in the growing of hybrid Rosen Rye for use as certified seed was initiated in 1918. Some years later, the propagation of Michelite Pea Beans for use as certified seed crops began. The George C Hutzler family, taking the lead among island farmers, eventually brought the island fame. Hutzler won first place prize awards/ribbons, four years out of six at the International Grain and Hay Show for his pure strains of Rosen Rye, which is the greatest distinction rye can achieve. The production of Rosen Rye continued on the island until the late 1930’s. As the mainland became increasingly settled, the importance of the Islands began to fade. Island farmers lost ready access to mainland markets. By the mid-1950’s most Islanders had left, including even the Coast Guard. Luckily, some 20-years later the Islands became part of a National Park, so they now belong to us all. 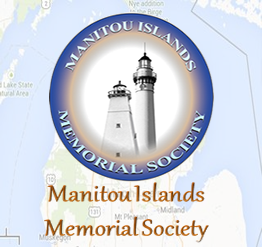 MIMS™ ~ the Manitou Islands Memorial Society. SMMS™ ~ the South Manitou Memorial Society.